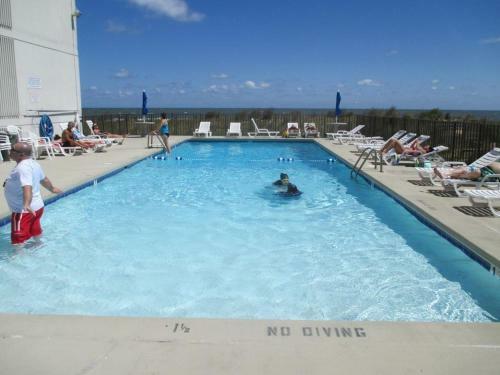 Sea Gate 101 Condo in Ocean City is a holiday home with 1 room. Sea Gate 101 Condo offers accommodation in Ocean City. The apartment is 900 metres from Roland E. Powell Convention Center & Visitors Info Center. A dishwasher and an oven can be found in the kitchen. A TV with satellite channels and DVD player is provided. You can play tennis at the property, and the area is popular for golfing. Ocean City Boardwalk is 2.2 km from Sea Gate 101 Condo, while Ocean City Harbor is 2.3 km away. The nearest airport is Salisbury-Ocean City Wicomico Regional Airport, 3...8 km from Sea Gate 101 Condo. Sea Gate 101 Condo offers accommodation in Ocean City. The apartment is 900 metres from Roland E. Powell Convention Center & Visitors Info Center. A d...ishwasher and an oven can be found in the kitchen. A TV with satellite channels and DVD player is provided. You can play tennis at the property, and the area is popular for golfing. Ocean City Boardwalk is 2.2 km from Sea Gate 101 Condo, while Ocean City Harbor is 2.3 km away. The nearest airport is Salisbury-Ocean City Wicomico Regional Airport, 38 km from Sea Gate 101 Condo. When would you like to stay at Sea Gate 101 Condo?